“If I had not experienced what I have, I could not have believed it myself.” – Joseph Smith, Jr.
Joseph Smith Jr. and his family moved to Palmyra, New York when he was eleven. Young Smith was overwhelmed by the religious turmoil he witnessed in the Burned-Over District. His mother was a member of the local Presbyterian church and his father used magical instruments like diving rods and seer stones to hunt for treasure. Smith, himself, was an avid reader of the Bible and seemed to be interested in Methodism—even going so far as to join a probationary class at the local church. As Smith tried to absorb the plethora of religious ideas that swirled around him, he stumbled onto a contradiction that made him uneasy. He noticed that each of the local churches claimed to be the true church, but certainly they could not all be true. Perplexed by the question of which church was actually right, and emboldened by the idea that anyone could have a relationship with the Almighty, Smith decided to take his question directly to God. When he was fourteen, Smith had a vision while praying in a grove of trees near his family home. He claimed to have seen and spoken with embodiments of both God and Jesus Christ. God and Jesus informed Smith that none of the churches was the true church, but that he would be given the task of restoring God’s true church—the church of the earliest Christians which had long since disappeared. 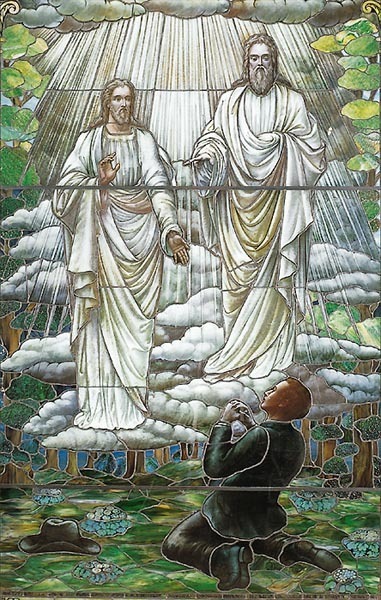 Today Mormons refer to this as “The First Vision.” It was the first step that ignited the process that eventually led Smith to found the Church of Jesus Christ of the Latter-day Saints. 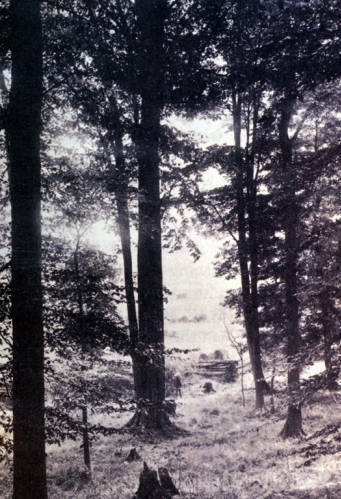 The woods behind the Smith family farm where it happened are referred to as the Sacred Grove. It is a place where Mormons continue to visit to feel the presence of the divine. 843 Stafford Road, Palmyra, NY ~ To get to the grove, follow the walking path behind the log home at the Joseph Smith Farm. Aliza Alperin-Sheriff, “The Sacred Grove,” UpstateHistorical, accessed April 18, 2019, http://upstatehistorical.org/items/show/47. Church of Jesus Christ of Latter-day Saints. “Chapter 45: Joseph Smith’s Feelings about His Prophetic Mission.” In Teachings of the Presidents of the Church: Joseph Smith. https://www.lds.org/manual/teachings-joseph-smith/chapter-45. Enders, Don. “The Sacred Grove.” Church History. 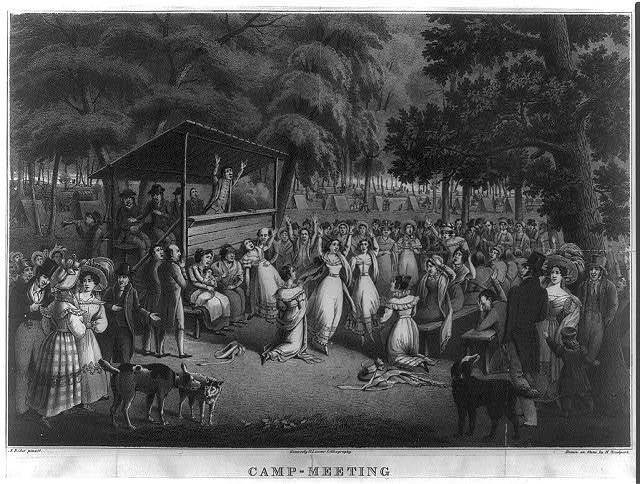 The Church of Jesus Christ of Latter-day Saints, May 19, 2014. https://history.lds.org/article/historic-sites/palmyra/sacred-grove. Gutjahr, Paul C. The Book of Mormon: A Biography. Princeton: Princeton University Press, 2012.